Welcome. Christmas is almost here! We’re battling one more virus here today…hopefully our last for a while! We’ve been sick since Thanksgiving…ugh! I hope this week finds you well. Stick around, share those posts and make some new friends! WELCOME to the December “You’re the Star” Blog Hop! WELCOME to HOME feature week of the December “You’re the STAR” blog hop! Welcome! It’s the first week of Advent, and we have just started our preparations here around the farm. We put up our lights and had cookies and kid-friendly eggnog for the first lighting yesterday evening. It’s one of our family traditions. My husband and the kids put the lights up on the front of the house, then they come inside and help me make Christmas cookies. Then, after dark, we all get a couple cookies and a small cup of eggnog, and walk to the other side of our pond while my husband turns on the lights for the first time. Then we sing carols on the driveway for a few minutes (usually until the kids get cold, which can sometimes take a while in Texas 🙂 ). The lights reflect off the water in the pond, and it’s really beautiful. Fun family memories! I hope the beginning of this season finds you well! It’s time to pull up a chair, link up those posts, and make a few new friends! Happy Monday everyone! I hope the time change is treating you well. I’m going to be brief today, since the internet access here at the farm is a bit spotty this weekend. I’m posting from my phone while sitting in a single spot next to the garden that still gets a signal! Hopefully it will be better soon. For now, I leave you with our lovely link up! Hello, and welcome! I hope this week finds you well. We’re trying to find hay here on the farm this week…we have been since the summer. First it was too dry, and no one had any. Now, it’s too wet! If we don’t find any soon, we may have to sell our cattle. It sure is nice to have a few days of sunshine in the forecast this week, though. I hope you stick around, take a look around, link up your posts, and make some new friends! WELCOME to the November 2018 “You’re the Star” Blog Hop! Please feel free to visit her wonderful blog!! WELCOME to GARDEN feature week of the November 2018 “You’re the STAR” blog hop! Well, what a difference a couple months make! We’ve gone from drought to floods in just a short month and a half here in our little corner of Texas. As I sit here typing this, we’re having a brief day filled with sun…but it’s back to rain for tomorrow. So, I’m going to make this brief, and get out and enjoy it while it lasts! I hope you’re staying dry where you are! WELCOME to the October “You’re the Star” Blog Hop! 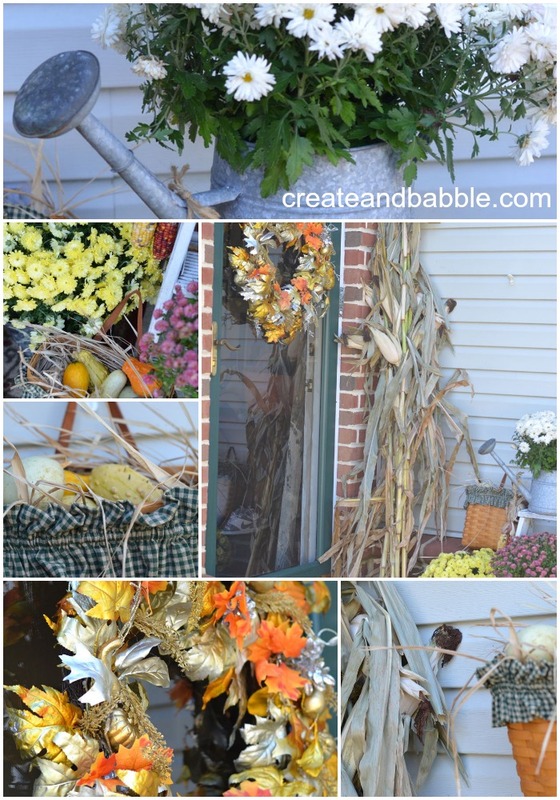 WELCOME to HOME feature week of the October “You’re the STAR” blog hop! Oh, what a weekend! We got nearly 6 inches of rain here on Saturday night, and of course, the house started flooding again…along with the garage (with the baby chicks inside…but no worries, everyone came through safely!). Luckily, I caught it in time and was able to keep the water damage to a minimum in the boys’ room. Someday, we’ll have a house that keeps the rain out! Ha! Well, I hope this week finds you dry and well. Take a few minutes to look around, read some great posts, and make some new friends! Welcome to week#3 of the October “You’re the Star” Blog Hop! October “You’re the STAR” blog hop!